Nucleic acids are among the most important biological macromolecules (others being amino acids-proteins, sugars-carbohydrates, and lipids-fats). They are found in abundance in all living things, where they function in encoding, transmitting and expressing genetic information. In other words, information is conveyed through the nucleic acid sequence, or the order of nucleotides within a DNA or RNA molecule. Strings of nucleotides strung together in a specific sequence are the mechanism for storing and transmitting hereditary, or genetic information via protein synthesis. Nucleic acids were discovered by Friedrich Miescher in 1869. ↑ "What is DNA". What is DNA. Linda Clarks. Retrieved 6 August 2016. ↑ Dahm, R (January 2008). "Discovering DNA: Friedrich Miescher and the early years of nucleic acid research". Human Genetics. 122 (6): 565–81. doi:10.1007/s00439-007-0433-0. ISSN 0340-6717. PMID 17901982. ↑ Cox, Michael; Nelson, David (2008). Principles of Biochemistry. Susan Winslow. p. 288. ↑ "DNA Structure". What is DNA. Linda Clarks. Retrieved 6 August 2016. ↑ International Human Genome Sequencing Consortium (2001). "Initial sequencing and analysis of the human genome." (PDF). Nature. 409 (6822): 860–921. doi:10.1038/35057062. PMID 11237011. ↑ Venter, JC; et al. (2001). "The sequence of the human genome." (PDF). Science. 291 (5507): 1304–1351. Bibcode:2001Sci...291.1304V. doi:10.1126/science.1058040. PMID 11181995. ↑ Budowle B, van Daal A (April 2009). "Extracting evidence from forensic DNA analyses: future molecular biology directions". BioTechniques. 46 (5): 339–40, 342–50. doi:10.2144/000113136. PMID 19480629. 1 2 Alberts, Bruce (2008). Molecular biology of the cell. New York: Garland Science. ISBN 0-8153-4105-9. ↑ National Institute of Health (September 28, 2007). 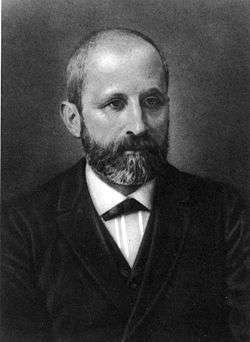 "Discovering DNA: Friedrich Miescher and the early years of nucleic acid research.". Hum. Genet. nih.gov. 122: 565–81. doi:10.1007/s00439-007-0433-0. PMID 17901982. 1 2 Brock, Thomas D.; Madigan, Michael T. (2009). Brock biology of microorganisms. Pearson / Benjamin Cummings. ISBN 0-321-53615-0. ↑ Hardinger, Steven; University of California, Los Angeles (2011). "Knowing Nucleic Acids" (PDF). ucla.edu. 1 2 Stryer, Lubert; Berg, Jeremy Mark; Tymoczko, John L. (2007). Biochemistry. San Francisco: W.H. Freeman. ISBN 0-7167-6766-X. ↑ Gregory SG, Barlow KF, McLay KE, et al. (May 2006). "The DNA sequence and biological annotation of human chromosome 1". Nature. 441 (7091): 315–21. Bibcode:2006Natur.441..315G. doi:10.1038/nature04727. PMID 16710414. ↑ Todorov TI, Morris MD (April 23, 2002). National Institutes of Health. "Comparison of RNA, single-stranded DNA and double-stranded DNA behavior during capillary electrophoresis in semidilute polymer solutions". Electrophoresis. nih.gov. 23: 1033–44. doi:10.1002/1522-2683(200204)23:7/8<1033::AID-ELPS1033>3.0.CO;2-7. PMID 11981850. ↑ Watson JD, Crick FH (April 1953). "Molecular structure of nucleic acids; a structure for deoxyribose nucleic acid". Nature. 171 (4356): 737–8. Bibcode:1953Natur.171..737W. doi:10.1038/171737a0. PMID 13054692. ↑ Ferré-D'Amaré AR, Doudna JA (1999). "RNA folds: insights from recent crystal structures". Annu Rev Biophys Biomol Struct. 28: 57–73. doi:10.1146/annurev.biophys.28.1.57. PMID 10410795. ↑ "Database resources of the National Center for Biotechnology Information". Nucleic Acids Research. 42: D7–17. 2014. doi:10.1093/nar/gkt1146. PMC 3965057 . PMID 24259429. Nucleic acids are in all living organisms.